Everytime I get back to my room from work, I would always on the TV and tune in to CNN news. For several days now, I've been hearing a lot of news and updates about hurricane Irene, the first hurricane to make a landfall in the continental United States since year 2008. Needless to say, this caused massive destruction to some areas of the United Staes and created a panic to millions of it's people. In Virginia alone, more than 1 million houses and establishments lost power and about 100 roads were closed. Flights were cancelled and people were ordered to move on safer grounds. This saddens me as I can still very well remember how Philippines suffered from the hands of countless typhoons in the past. We never knew when and where will calamity strikes, so it's better to be prepared at all times. Everytime I hear weather updates from CNN and over heard the news anchor mentioning the Philippines to be the next target of a destructive typhoon, I couldn't help but worry and feel frightened for my family and for the Filipinos in general. I've experienced the worst scenario of a calamity during the eruption of Mt. Pinatubo years back, so I hope that nothing of that sort will ever happen again. 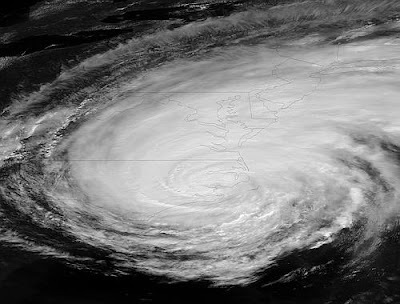 Let's just pray that people from those affected areas by hurricane Irene able to survive the catastrophe. I hope this calamity will soon come to an end. Will include this in my Sunday prayers. Been following this news too. Good that they are well informed and ready with this hurricane. Hi Reese! Yeah, I also heard about that! Pero sabi nila, by this time daw paalis na ang bagyong Mina heading to Taiwan na daw....Sana! Hi Josiet! So far, by now, hurricane Irene already heading towards England.